An award-winning, volumizing mascara. 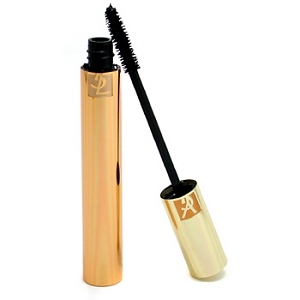 Yves Saint Laurent MASCARA VOLUME EFFET FAUX CILS Luxurious Mascara achieves an intense, dramatic lash look in a single stroke, for lashes that stop traffic with the blink of an eye. Its secret is the Triple-Film Complex: a film-coating for intensity, a conditioning film for curve, and a fixing film for long-lasting effectiveness.. The brush applicator combines nylon fibers of varying diameters for luxurious volume enhancement as never before.